Only for interesting...which Mars version would be running in the 2nd nTCEC-Stage? @WoodyStress wrote: Only for interesting...which Mars version would be running in the 2nd nTCEC-Stage? I guess Mars would not be participating in nTCEC. Now Mars is based on IvanHoe. 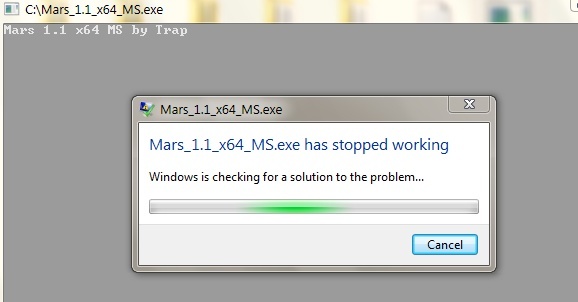 Thanks for the new version majortom. Nicolas wrote: Thanks for the new version majortom. I found a small bug - it will updated soon. fuihjt, I'll make one more compile for you. 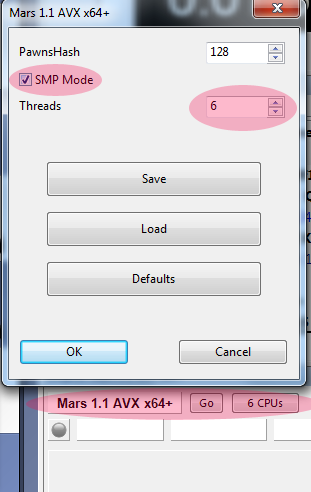 @majortom wrote: fuihjt, I'll make one more compile for you. 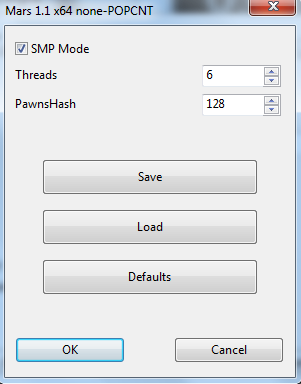 SSE version is special for you - try it. how can I use all cores? is it possible to use more than 1 CPU core? how can we use multiple cores??? If it works, I'll make the optimized version. Thank you so much majortom. It works like a charm, great work. @majortom wrote: If it works, I'll make the optimized version. 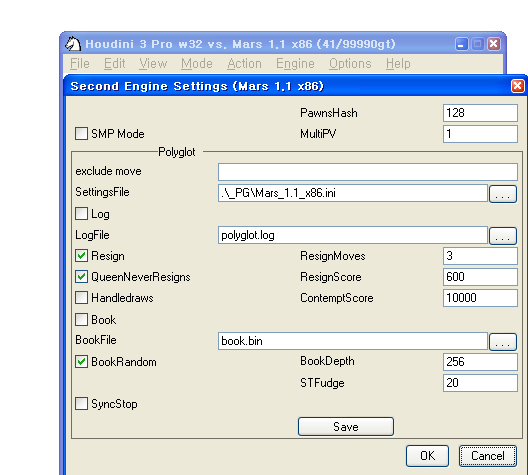 I'm also waiting for the optimized version..
did anyone run engine matches between Mars 1.1 and other engines? Thanks to Ahmed Kamal for suggestion. I am actually playing - really fine, strong engine - online chess with others! i am using actuell the SSE.64 version.